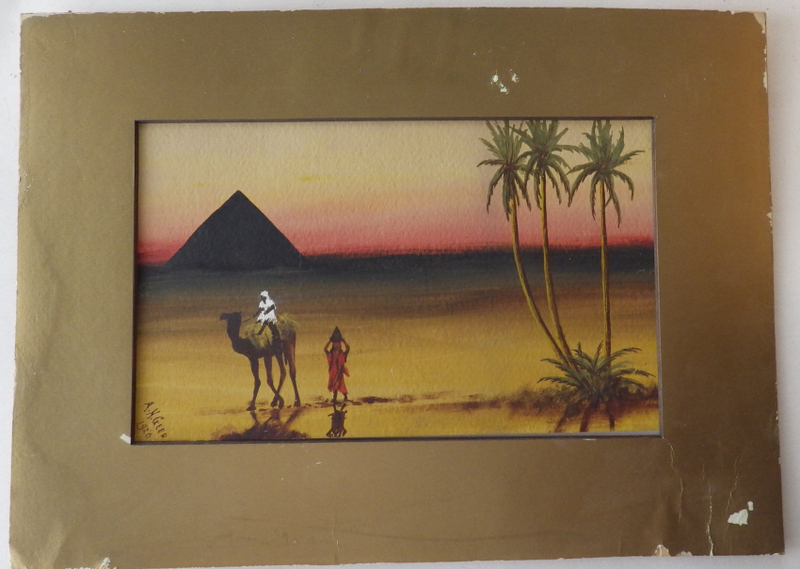 A. H. Geer: Egyptian scene. Gouache on board. 14.5 x 23cms. In mount(damaged). 1920. Category: Miscellaneous. Tag: A. H. Greer gouache.